We are a Pay Per Click Management Agency for those companies looking for nothing less than the absolute best return on investment - ROI. Most of our clients come to us after dropping money on their own, most not even tracking conversions, or are simply not satisfied with their existing pay per click management provider. We are devoted to the art and science of "pay per click direct marketing" utilizing the most advanced methodologies and competitive analysis tools available today. We specialize only on PPC. 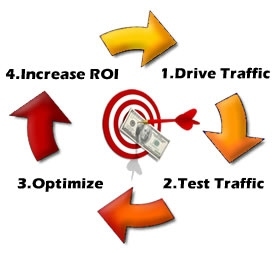 Why focus on PPC? Place your message in front of your ideal prospects, exactly at that moment they are searching for you, on the most valuable advertising space on the planet, the first page results, where else? Why begin with PPC versus SEO? We welcome you to consider using our PPC services. We make it our top priority to be up-to-date with all of the latest changes in the PPC space. Visit our popular PPC Blog. Please read the Adwords Disclosure Document, for our our prospective clients.